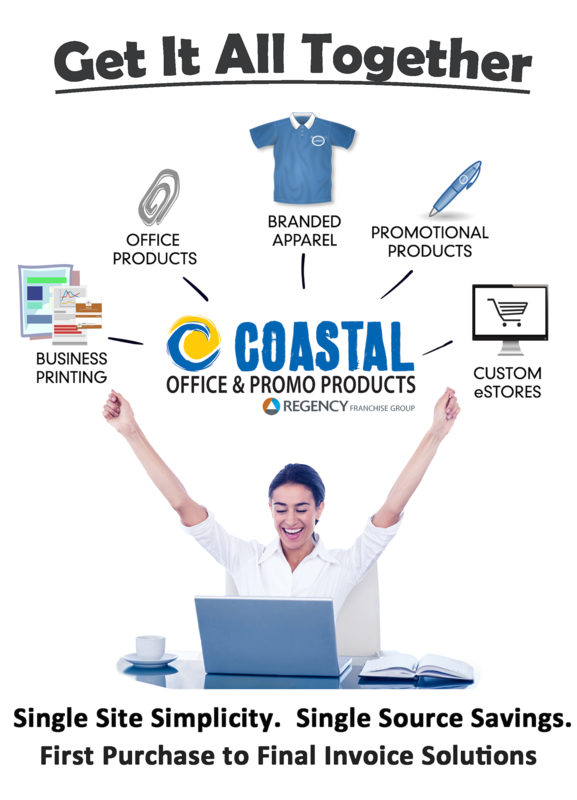 It’s the simple, straightforward promise we make to you every day at Coastal Office & Promo Products. Coastal offers over 40,000 products at competitive prices delivered fast and free anywhere in the nation. Our focus is always our customers on Main Street rather than our shareholders on Wall Street. As digital and mobile technologies change our workplace, Coastal is keeping pace by joining the Regency Franchise Group. Coastal’s ownership and staff remains the same friendly faces you may see at your grocery store or a Tides game. Our Regency alliance brings you powerful new opportunities to save money and time with new products, services and technology. High touch local service. High tech purchasing. High efficiency procurement solutions. That’s the next generation of Home Team Service. We are your productivity partner saving you time, money and hassles with expert advice on products and processes than can benefit you company. And we deliver them to you fast, friendly and free. Locally owned in Hampton Roads since 1992, Coastal is a partner you can trust to act in the best interest of you, your business and our local community.